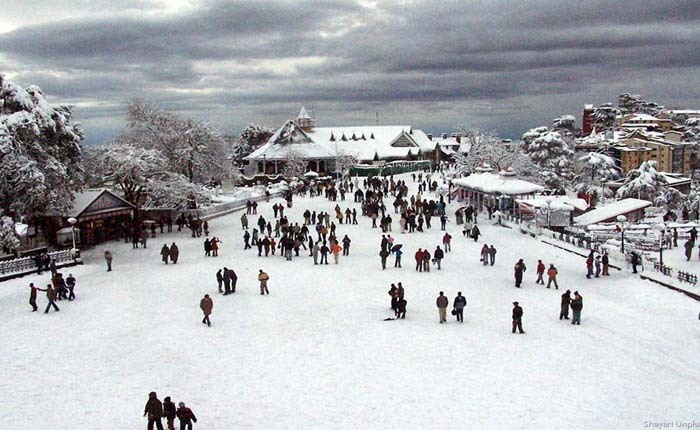 On Monday eve, 7 January 2019, snow-laden streets of Binsar in Almora attracted large number of tourists as temperature plunged to chilling zero degrees Celsius. Binsar had received mild snow last month as well. The severe cold conditions across the state are likely to ease in the next few days. According to the Met department, the weather will improve from Tuesday onwards and except a two day wet spell starting 11 January 2019, the state is likely to witness a rise in mercury. Bikram Singh, Director at Met Centre said that there are possibilities of thunder and rain on January 11 and 12 and thereafter, the weather is expected to remain normal. Rise in temperature by 2-3 notches in the 3rd week is expected. The minimum temperature recorded in Dehradun on Monday was 5.2 degrees Celsius, a notch below normal and the maximum was 21.6 degrees Celsius, 3 degrees above normal. The Development work at Kedarnath had to be stopped because of heavy snowfall. Three development projects, including construction of retaining wall and ghats on two rivers and construction of houses for priests are in progress at the shrine town at present. Heavy snow was witnessed in Yamunotri and Gangotri and some routes were also blocked but they were cleared quickly. Tourists were seen flocking to snow laden peaks but the thick cover threw life out of gear for local residents in Uttarkashi district. Sanjay Panwar a resident of Dharali village in Ganga valley said that despite Border Roads Organisation (BRO) removing snow from Gangotri NH, traffic movement is still dangerous due to slippery roads. Drinking water supply is also affected due to frozen pipelines. 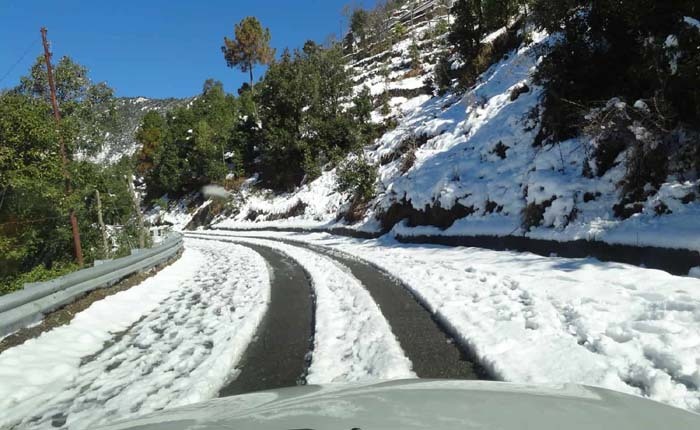 Ashish Chauhan , Uttarkashi district magistrate mean while on Monday directed BRO and National Highway authorities to ensure prompt removal of snow from national highways. The Meteorological Department on Sunday,6 January 2019 predicted heavy snowfall in the hills of Uttarakhand over the next 24 hours, encouraging the state government to ask all district magistrates to make necessary arrangements to help the people. Heavy Snowfall is likely to occur at isolated places in Chamoli, Uttarkashi, Rudraprayag, Pthoragarh and Bageshwar during the next 24 hours, the MET Said. Hailstorm is also likely at isolated places, especially in Tehri, Dehradun, Pauri, Nainital, Champawat, Haridwar and US nagar districts during the period, it said. On Sunday, Mukteshwar recorded a minimum temperature of 1 degree Celsius followed by Tehri at 3 degree Celsius and Dehradun at 8.8 degree Celsius. The Sky was mostly cloudy, where it drizzled towards the evening, causing the chill in the air to increase. CM Trivendra Singh Rawat directed all district magistrates to make necessary arrangements in view of the weather forecast. CM Rawat asked them to take precautionary measures like lighting bonfire, in public places, including bus stands and railway stations, besides making necessary arrangements at shelter homes to protect the poor and homeless from the cold. The hill states, Uttarakhand, Himachal Pradesh and Jammu and Kashmir received heavy snowfall over the weekend. Manali, Narkanda, Shimla, Mcleodganj, Dharamshala and Kalpa in Himachal Pradesh snowfall and heavy rain on Sunday, 6 January 2019. It was a completed whiteout at Kedarnath in Uttarakhand, While Srinagar in Jammu and Kashmir recorded minus 1.2 degrees Celsius and Gulmarg minus 9 degrees. The two renowned hill resorts of Shimla and Manali saw a rush of tourists for the second day. Weather officials have said that there are chances of more snow and rain in Himachal Pradesh till Wednesday. 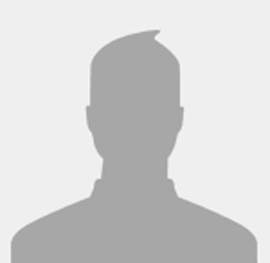 Shimla and its nearby areas have been experiencing heavy snowfall and this was the season�s highesht snowfall. In the state capital Icy weather brings down the temperature to 1.7 degrees Celsius and the maximum stayed at 3.7 degrees Celsius and minimum at 1.7 degrees Celsius. Kalpa around 250 kilometre from Shimla received 13cm of snow, the highest in Himachal Pradesh and recorded a minimum temperature of minus 3.8 degree Celsius, said weather officials, while the lower slopes of Solan, Palampur, Nahan, Mandi and Bilaspur received intermittent rainfall. 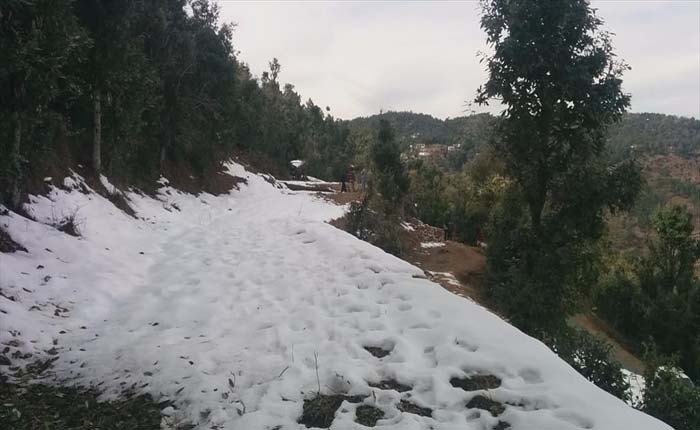 Higher reaches of Uttarakhand witnessed Fresh snowfall on Sunday, 6 January 2019 including Char Dham Shrines while Dehradun & other low lying areas recorded light rainfall. 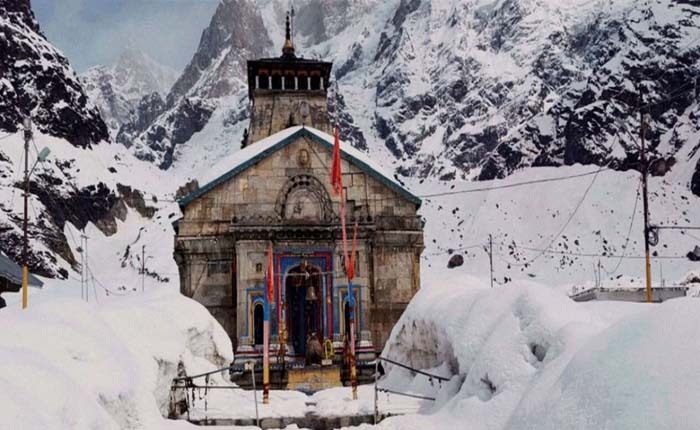 Badrinath, Kedarnath, Gangotri, Yamunotri, Hemkund Sahib and other high altitude areas have been receiving heavy snowfall since Saturday night, 5 January 2019, causing a dip in mercury in the hills. Bikram Singh, Director at Met Centre, said that Char Dham shrines and other high altitude areas received good snowfall in the past 24 hours. Dehradun, Haridwar, Rishikesh and Udham Singh Nagar recorded light rain along with cloudy conditions throughout the day. The maximum temperature in Dehradun was recorded at 16.9 degrees Celsius, two notches below normal, while minimum settled at 8.8 degrees Celsius. In Nainital, maximum temperature was recorded at 12.9 degrees Celsius, while minimum settled at 4 degrees Celsius. The Met has also predicted a hailstorm at isolated places in Haridwar, Tehri, Dehradun, Nainital, Champawat, Pauri and Udham Singh Nagar district.